Made of thick, crystal clear glass, this 60 oz. 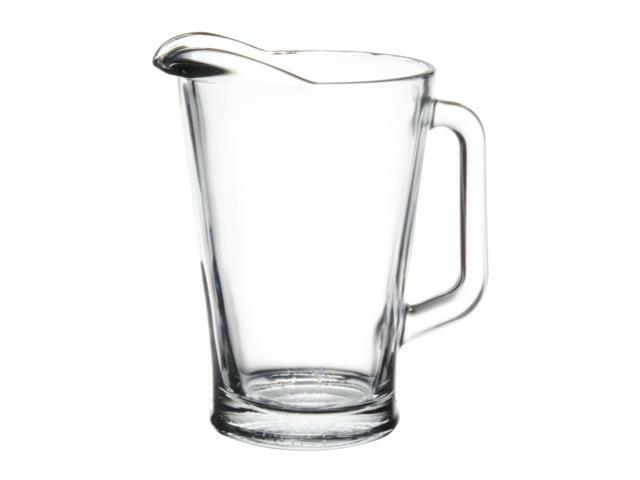 glass pitcher is the perfect way to serve ice cold water, lemonade, iced tea, or beer to thirsty patrons! Additionally, its large lip helps staff and guests alike make accurate pours without spilling and wasting beverages. * Please call us for any questions on our glass water pitcher 60 oz. rentals in Mishawaka, serving South Bend, Elkhart, Niles MI and surrounding communities in Northern Indiana and Southwest Michigan.